African citrus psyllid | Infonet Biovision Home. The citrus psyllid prefers cool climates and it is found in Kenya only at elevations above 800 m. The adult is about 2 mm long, brownish yellow with long transparent wings with market veins. They resemble winged aphids. The adults jump and fly short distances when disturbed. When feeding, adults take up a distinctive position, with the abdomen raised. The orange-yellow eggs are laid on the edges of tender young leaves. They can be distinguished with the naked eye as a yellow fringe to the leaf. After hatching the nymph moves only a very short distance and settles down to feed on the underside of leaves. Once settled, it does not move again unless disturbed. They resemble small green or yellow scale insects, and are up about 1 mm long. Parasitised nymphs are dark brown to black in colour. Pit-like depressions are formed beneath the nymphs bodies. 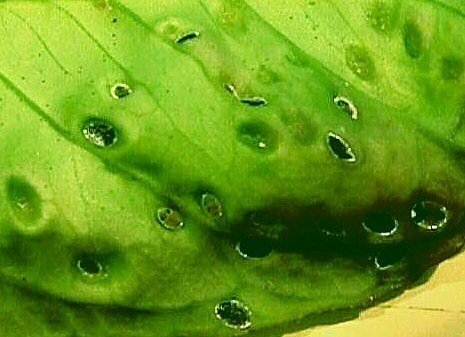 These depressions look like raised bumps on the upper side of the leaves, and remain even after the nymphs have become adults. As result of these pock marks young leaves may be severely deformed, and flush growth depressed. They also cause damage by sucking sap from the leaves. However, in general, these types of damage do not seriously affect infested trees. 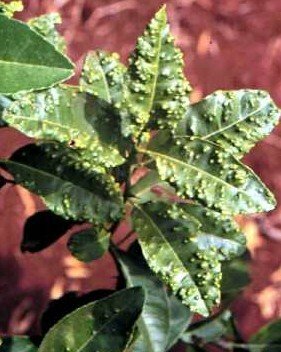 The main damage caused by the citrus psyllid is as the vector of the greening disease, a major disease of citrus. A few psyllids in an orchard can spread the greening disease, but when high numbers are present, the spread is particularly rapid. It is therefore necessary to manage the citrus psyllids to retard the spread of the greening disease. Several natural enemies attack the citrus psyllid. Predators such as lacewings, spiders, predatory mites, ladybird beetles and hover flies feed on the citrus psyllid, but often they cannot control this pests effectively. 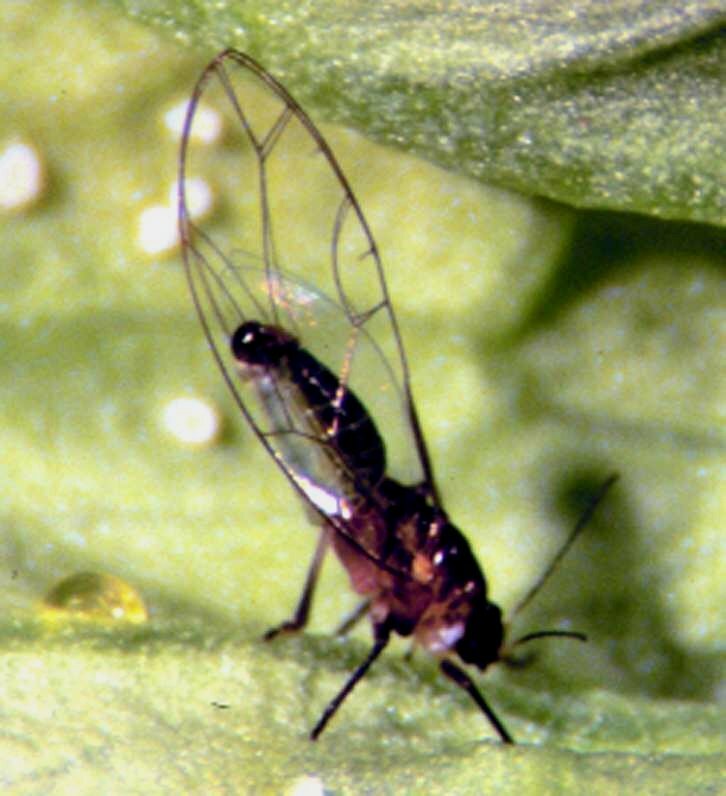 Parasitic wasps play an important role in the control of citrus psyllids. Psyllaephagus pulvinatus attacks nymphs in Kenya and South Africa, and Tamarixia (Tetrastichus) dryi attacks nymphs in South Africa. In Reunion, the African psyllids has been successfully controlled by the introduction of T. dryi, from South Africa.